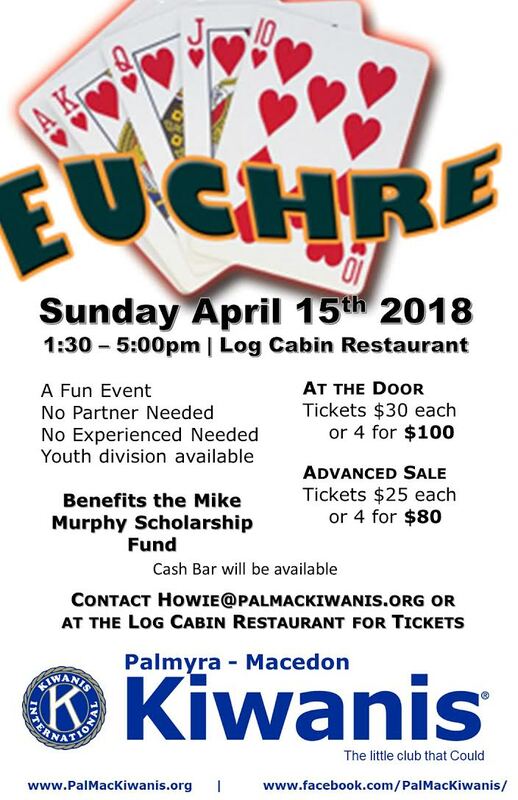 Sunday, April 15, 1:30 to 5:00 at the Log Cabin Restaurant 2445 West Walworth Rd Macedon, NY 14502. Non-competitive fun event. No partner needed. Benefits the Mike Murphy Scholarship Fund, Dollars for Scholars. 0 Comments to "Mike Murphy Scholarship Fund Benefit"